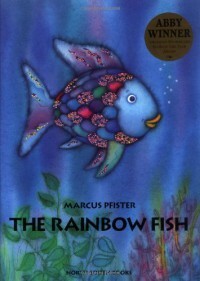 This book is about a fish who learns about friendship and sharing. The Lexile level is AD410L. I would use this in a Kindergarten or 1st grade class at the beginning of the school year. We would read it as a class together and then I would give each student a fish to decorate anyway they want to. I would have a bullentin board that reads "We may all be different but in this class, we swim together!" I would put all the students' fish around the saying, teaching them about how diversity is a good thing.